In 1973, during the Yom Kippur War, an Israeli A-4 Skyhawk jet carrying a nuclear weapon is shot down; 29 years later, a Syrian scrap collector uncovers a large unexploded bomb buried in a field in the Golan Heights. He sells it to a South African black market arms trafficker named Olson, who recognizes it as the nuclear bomb that was lost during the war. He then sells it to a fascist group led by Austrian billionaire and neo-Nazi Richard Dressler, whose aim is to start a nuclear war between the United States and Russia that will devastate them both, and leave a united fascist Europe to rule the world. CIA analyst Jack Ryan is summoned by CIA Director William Cabot to accompany him to Russia to meet President Nemerov. In Moscow, Cabot and Ryan are allowed to examine a Russian nuclear weapons facility as prescribed by the START treaty, where Ryan notices the absence of three scientists listed on the facility's roster. Cabot sends operative John Clark to Russia to investigate. Clark tracks the missing scientists to a former Soviet military facility in Ukraine, where Cabot suspects they are building a secret nuclear weapon that Russia could use without any way to trace it back to them. Ryan and his colleagues discern that a crate from the facility in Ukraine was flown to the Canary Islands, then sent to Baltimore on a cargo ship. Ryan warns Cabot, who is attending a football game (implied to be the Super Bowl) in Baltimore with the President, about a bomb threat. The President is evacuated before the bomb detonates, but the city is destroyed and Cabot is killed. To escalate the situation, a corrupt Russian Air Force general who has been paid by Dressler sends Tu-22M Backfires to attack the USS John C. Stennis in the North Sea. Ryan learns from the radiation assessment team that the isotopic signature from the nuclear blast pinpoints it as having been manufactured at the Savannah River Site in South Carolina in 1968; evidence which seems to exonerate the Russians. In Syria, Clark tracks down Ghazi, one of the men who found the bomb, now dying of radiation exposure. He tells Clark that he sold the bomb to Olson, who lives in Damascus. Ryan's colleagues at Langley infiltrate Olson's computer and download files that implicate Dressler as the person who bought the plutonium and who is behind the Baltimore attack. Ryan is able to reach the National Military Command Center in The Pentagon and get a message to Nemerov, saying that he knows that Russia was not behind the attack, while also asking Nemerov to stand down his forces as a show of good faith. Nemerov agrees to do so as President Fowler follows suit. The participants in the conspiracy, including Dressler, are assassinated. Presidents Fowler and Nemerov announce new measures to counter nuclear proliferation in joint speeches at the White House, as Ryan and his fiancée Dr. Catherine Muller listen in. Spinnaker gives them a present for their engagement. Michael Byrne as Anatoly Grushkov, senior advisor to President Nemerov. After the release of Clear and Present Danger in 1994, a year was spent developing Tom Clancy's The Cardinal of the Kremlin before the material was deemed too difficult to adapt, resulting in producer Mace Neufeld purchasing the rights to Clancy's The Sum of All Fears. In October 1999, Harrison Ford announced that the next Jack Ryan novel being scripted into a film would indeed be The Sum of All Fears and that "hopefully we'll get that to a place where we can make a movie." During this time, writer Akiva Goldsman wrote multiple drafts of the script. However, on June 8, 2000, it was announced that Ford had dropped out of the film after he and director Phillip Noyce were unable to work out script problems. It was later announced that Ben Affleck would take on the role in a $10 million deal that would see the series rebooted with Jack Ryan portrayed at an earlier stage in life. "The day I received the offer to play Jack Ryan, I was filming a Pearl Harbor scene with Alec Baldwin. He was very sweet and said I should do it," said Affleck. "I wouldn't have done the movie without talking to Harrison Ford first. He gave me his blessing. That's what I needed to hear." Months after Affleck became attached to the project, director Phil Alden Robinson was brought on to lead the project. While the basic plot is the same in the movie as in the book, there were significant changes. Noting these substantial changes, in the commentary track on the DVD release, Tom Clancy jokingly introduced himself as "the author of the book that he [director Phil Alden Robinson, who is present with Clancy] ignored." Perhaps the largest change were the original terrorists. In the novel, they were Arab nationalists, but in the film, they were changed to neo-fascists. A common misconception is that this was done as a reaction to the September 11, 2001 attacks, but the movie finished filming in June 2001. On the "making-of" DVD extra, director Alden Robinson said that the change was purely for elements relating to the plot, because Arab terrorists would not be able to plausibly accomplish all that was necessary for the story to work. In addition, the terrorists in the book received significant aid from elements in East Germany, a country which had ceased to exist before the novel was even published. The group Council on American-Islamic Relations (CAIR) did mount a two-year lobbying campaign that ended on January 26, 2001, against using "Muslim villains", as the original book version did. Screenwriter Dan Pyne claimed that the decision to not use Arab terrorists was "possibly because that has become a cliché. At the time that I started writing The Sum of All Fears, Jörg Haider was just starting to come into play in Austria. And simultaneous with that, I think, there was some neo-nationalist activity in Holland, and there was stuff going on in Spain and in Italy. So it seemed like a logical and lasting idea that would be universal." It has also been noted that a larger percent of profits stems from international audiences, and American filmmakers work to avoid alienating large segments of this customer base. Principal photography for The Sum of All Fears began on February 12, 2001 in Montreal, Quebec. 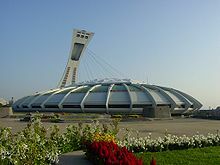 A majority of the film was shot in Montreal, including the sequences at the football game that were shot in the city's Olympic Stadium. Additional filming was done at the Diefenbunker in Ottawa, Ontario. Production finished in June 2001. The interior scene of the aircraft carrier was filmed on a set used in the TV series JAG. The musical score to The Sum of All Fears is composed by Jerry Goldsmith. A soundtrack album was released on June 4, 2002 by Elektra Records. In addition to Goldsmith's score, the soundtrack also includes source music such as "If We Get Through This" by Tabitha Fair and "Nessun dorma" by Giacomo Puccini. There are also two tracks from the album ("If We Could Remember" and "The Mission") that are vocal interpretations of Goldsmith's primary theme co-written by singer-songwriter Paul Williams. On March 12, 2014 an expanded edition was released by La-La Land Records. While the film was speculated to be released in late 2001, The Sum of All Fears was theatrically released on May 31, 2002. Many media outlets characterized this apparent change in release date to be a delay due to the September 11 attacks. Addressing the release date, director Phil Alden Robinson said, "When I came on board in August of 2000, they said, 'This is a Summer-of-2002 picture.'" As the first film released since September 11 to deal so vividly with terrorism, critics believed it to be too alarming to be released nearly nine months after the attacks. The film received mixed reviews. Rotten Tomatoes reported that 59% of critics gave the film positive reviews and that the average rating was 6/10 based on a total of 171 reviews counted. The consensus was that the film was "A slick and well-made thriller that takes on new weight due to the current political climate." At Metacritic, which assigns a weighted average out of 100 to critics' reviews, The Sum of All Fears received a score of 45 based on 35 reviews. 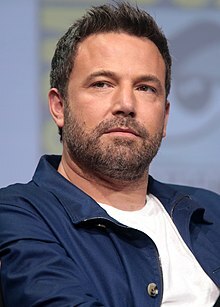 Peter Travers criticized Affleck's performance, saying it "merely creates an outline for a role he still needs to grow into, a role that Harrison Ford effortlessly filled with authority." Richard Roeper felt the film "is almost impossible to follow – and there's something cringe-inducing about seeing an American football stadium nuked as pop entertainment." Michael Wilmington of the Chicago Tribune called it "an implausible apocalypse without depth or resonance", while Peter Rainer of New York magazine felt the "movie has been upstaged by the sum of our fears." "There are some frightening special effects in the movie, which I will not describe, because their unexpected appearance has such an effect." A few positive reviews came from The Argus, who praised Freeman for giving "the William Cabot character such validity." Roger Ebert felt that "the use of the neo-Nazis is politically correct: Best to invent villains who won't offend any audiences." He also said that "Jack Ryan's one-man actions in post-bomb Baltimore are unlikely and way too well-timed." In Reel Power: Hollywood Cinema and American Supremacy, author Matthew Alford observed that the American political characters in the film act benevolently; declaring, "When the President and his advisers do apply force it is with heavy hearts and purely as a way of demonstrating 'deterrence' in the hope that this will encourage the Russians to back down. They never apply excessive violence and are ultimately successful – with Ryan’s help – in avoiding nuclear warfare." Furthermore, he argued that "the film celebrates and makes light of the enormous covert powers of a globally operating US national security state and its allies." According to Box Office Mojo, the film made U.S. $118,907,036 and $75,014,336 in foreign totals, easily recovering its $68 million production costs. The film won a Visual Effects Society Award for "Best Supporting Visual Effects in a Motion Picture." The recipients were Glenn Neufeld, Derek Spears, Dan Malvin, and Al DiSarro. ^ "The Sum of All Fears (12)". British Board of Film Classification. May 31, 2002. Retrieved September 4, 2016. ^ a b The Sum of All Fears, Box Office Mojo. ^ a b "The Sum Of All Fears". Rotten Tomatoes. Retrieved January 14, 2014. ^ Gayle Rivers. The War Against The Terrorists: How to Win It. Ace Books, 1987. Rivers suggests that a hired driver be made to start a person's car in plain sight, and to hire a driver who would, as a notice that an attempt to blow up the car would not target the client. That is why Spinnaker set the explosive trigger as the cigarette lighter, not the ignition, to spare Dressler's nervous hired man. ^ a b Neumer, Chris. "Mace Neufeld Interview". Stumped Magazine. Retrieved September 5, 2013. ^ Rea, Steven (October 6, 1999). "Playing with perception". Toledo Blade. Retrieved September 4, 2013. ^ "Akiva Goldsman talks about THE SUM OF ALL FEARS..." Video Trader. Ain't It Cool News. February 1, 2000. Retrieved September 5, 2013. ^ "Ford Won't Give in to Sum of All Fears". IGN. June 8, 2000. Retrieved September 4, 2013. ^ Hobson, Louis B. (May 21, 2001). "Affleck attack". Jam!. Retrieved September 4, 2013. ^ a b Lybarger, Dan (May 31, 2002). "The Sum of All Fears: A Conversation with Phil Alden Robinson". Nitrate Online Feature. Retrieved September 5, 2013. ^ Armstrong, Mark (January 26, 2001). "Wolf Howls As NBC Yanks "Law & Order" Episode". E! News. Retrieved September 4, 2013. ^ a b producer: Lauren F. Cardillo (2003). "Casting Calls". Running Down Dreams Productions & The Discovery Times Channel. ^ "Ben Affleck and Morgan Freeman to Star in 'The Sum of All Fears'; Paramount Presents Fourth Film in Hit Jack Ryan Series". PR Newswire. The Free Library. March 7, 2001. Retrieved September 5, 2013. ^ "Sum of All Fears – Production Notes". Contactmusic.com. Retrieved September 5, 2013. ^ Emma Jones (June 4, 2012). "On-location vacations: Movies shot in Canada". MSN. ^ "The Sum of All Fears [Music from the Motion Picture]". AllMusic. Retrieved September 5, 2013. ^ "Filmtracks: The Sum of All Fears (Jerry Goldsmith)". Filmtracks.com. February 15, 2009. Retrieved September 5, 2013. ^ Brassfield, Mike (June 1, 2002). "'Sum of All Fears' tests our post-9/11 threshold for plots". St. Petersburg Times. Retrieved September 4, 2013. ^ Van Susteren, Greta (June 3, 2002). "The Sum of All Fears Controversy". Fox News Channel. Retrieved September 4, 2013. ^ "The Sum of All Fears". Metacritic. Retrieved January 17, 2014. ^ "The Sum of All Fears". Rolling Stone. Retrieved May 7, 2010. ^ "529 Reviews by Michael Wilmington of the Chicago Tribune". Archived from the original on April 27, 2012. Retrieved May 26, 2013. ^ Peter Rainer. "Review of Sum of all fears". NY Magazine (NYMag). Retrieved May 26, 2013. ^ a b "The Sum of All Fears". Chicago Sun-Times. Retrieved September 4, 2011. ^ Lana K. Wilson-Combs, "wHEW! Freeman won't give up acting anytime soon", The Argus (May 31, 2002). ^ Alford, Reel Power, p 91. ^ "1st Annual VES Awards". visual effects society.